In partnership with Metz Culinary, Filta is pleased to announce that Filta has been named the “primary/preferred” provider of cooking oil filtration and active fryer management. FiltaFry provides an eco-friendly, mobile onsite service for the micro-filtration of cooking oil, the vacuum-based cleaning of deep fryers, and professional cooking oil and fryer management. Metz Culinary locations receive a comprehensive fryer management service, which includes temperature calibration, cooking oil micro-filtration, and a thorough vacuum detailing of each fryer. 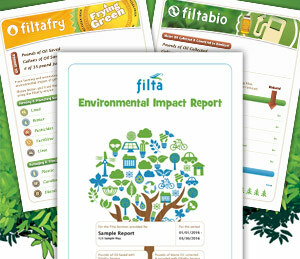 Your location will be provided a comprehensive Environmental Impact Report and Certificate for the FiltaFry service quantifying your sustainability effort. These reports are great to share with your corporate office and your clients. Since each Metz Culinary unit is unique – Your local Filta service provider has agreed to provide a site-evaluation to determine any unique needs. During the site evaluation, the Filta service technician will visit your unit daily for about a week, noting, what and how you cook as well as oil and fryer condition and ordering and inventory practices. After that evaluation, Filta will offer you a demonstration or possibly a few Free Service Visits – so you can experience the benefits first hand. Filta services any location with deep fryers and works with Metz Culinary across all sectors including Business and Industry, Sport & Leisure, Healthcare, Convention /Area, and Higher Education. Metz Culinary locations receive national pricing discounts. Interested locations should contact Filta directly at 407-583-4286 to inquire about service or fill out the request form below and a Filta representative will contact you.